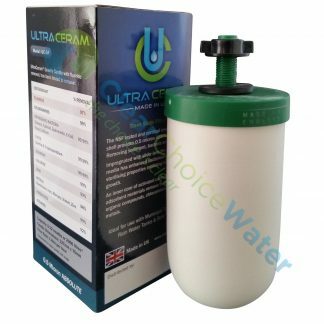 MADE IN UK – UltraCeram 5″ Gravity Water Filter Candle – Removes Fluoride! UltraCeram gravity filter elements utilise class leading silver impregnated ceramic micro porous outer shell combined with patented core technology. This candle is made form the highest quality coconut shell based granular activated carbon and other proprietary adsorbent medias. The pore structure of the ceramic enables sufficient contact time for the candle to be ideally suited to improving taste and odour as well as reducing chlorine, chloramine, volatile organic compounds, lead, mercury, asbestos, arsenic and most importantly fluoride. The cleanable shell is designed to remove suspended solids, pathogenic bacteria and cysts. Ideal for use with town water, rain water tanks and bore water. 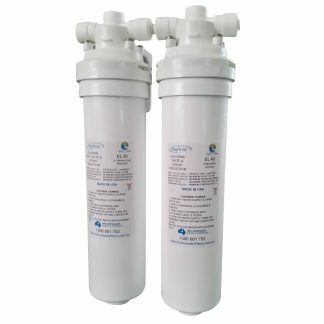 For use with Gravity Water Filters – Fits all Australis ceramic and stainless steel filters, as well as Southern Cross Pottery, Stefani, Pozzani and Coolaway gravity water filters.